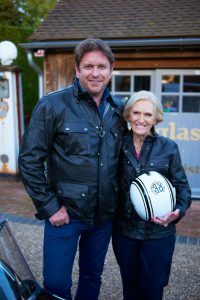 The Great British Bake Off‘s Mary Berry will be back this Christmas with an appearance on James Martin’s Christmas With Friends. James Martin is hosting his own cookery show on Food Network this Christmas, in which the TV chef will be joined by a host of famous faces including Coronation Street‘s Jennie McAlpine, actor Jimi Mistry and British chef Brian Turner. James and his celebrity guests will bring inspiration to their Christmas dishes by reminiscing on their own festive childhood memories. 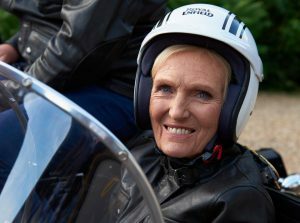 That’s right, the nation’s favourite baker Mary Berry will also be joining James during his two-part series as he creates four Christmas-y recipes and uncovers the best cooking secrets from his special guests. Pictures of Mary on the show have been released, and they’re not quite what you might expect. 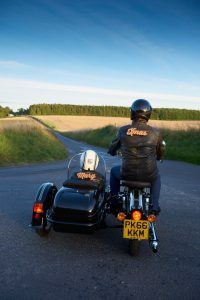 The snaps show the 81-year-old riding in the sidecar of James’ motorbike, wearing her own customised leathers. Brilliant. The former presenter of Saturday Kitchen will be the face of 60-minute specials which air on Monday 14 and 21 November at 9pm on Food Network. James spoke about his new show, saying: “I’m delighted to be working with Food Network on this Christmas Show. 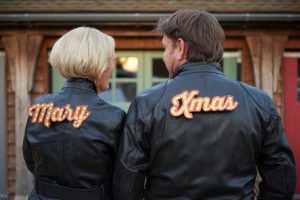 James Martin’s Christmas With Friends airs Monday 14 and 21 November at 9pm on Food Network.